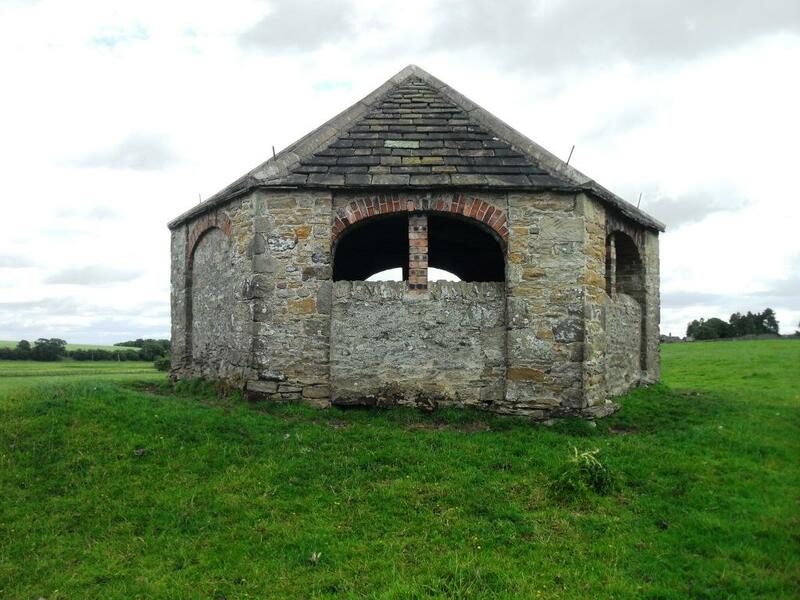 The deer shelter was probably built late 18th or early 19th century and is on top of an icehouse. The well head in the field is possibly by Anthony Salvin when he restored the Church of St John the Baptist for the Duke of Northumberland in the 19th century. It fed water to the well head near to the church. The well near to the Church of St John the Baptist was possibly designed by Anthony Salvin when he restored the church for the Duke of Northumberland in the 19th century. It is fed from the well in the field. This ruin has been demolished.